What is SMS non woven Fabric? SMS non woven fabric: Spunbond + Meltblown + Spunbond Nonwovens,which is made of Spunbond non-woven fabric + meltblown non-woven fabric + spunbond non-woven three-layer network of hot-rolled. 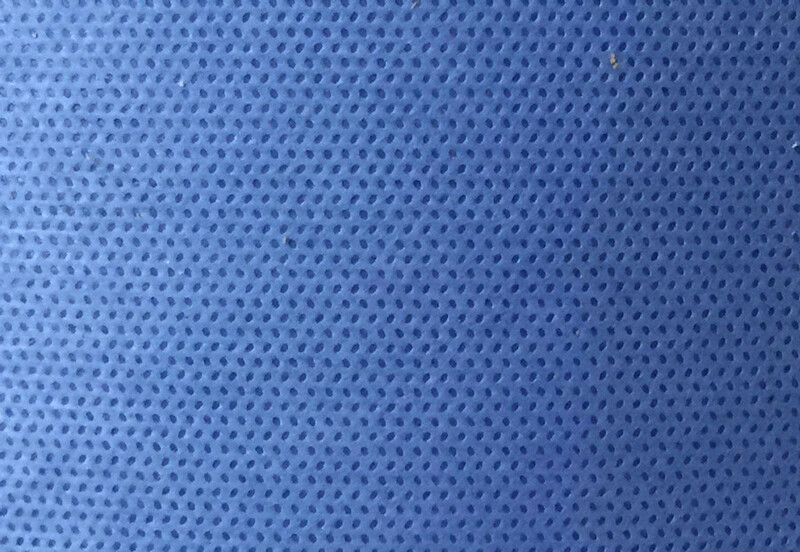 Normal weight range: 30-500 gsm; basic width: 1500mm and 2400mm; It belongs to composite non-woven fabrics, it is a spunbond and melt-blown composite products, non-toxic and odorless,highly efficient bacteria. Through special treatment of equipment, it can achieve anti-static, anti-alcoholic, anti-plasma, water repellent and water-producing properties. SMS non woven fabric materials can be used in different fields from the different thickness. Thin SMS products: because of its waterproof breathable, especially suitable for the health market, such as sanitary napkins, sanitary pads, baby diapers, adult incontinence diapers side leakage edge and backing and so on. 2.Medium-thickness:SMS products are suitable for use in the medical field. 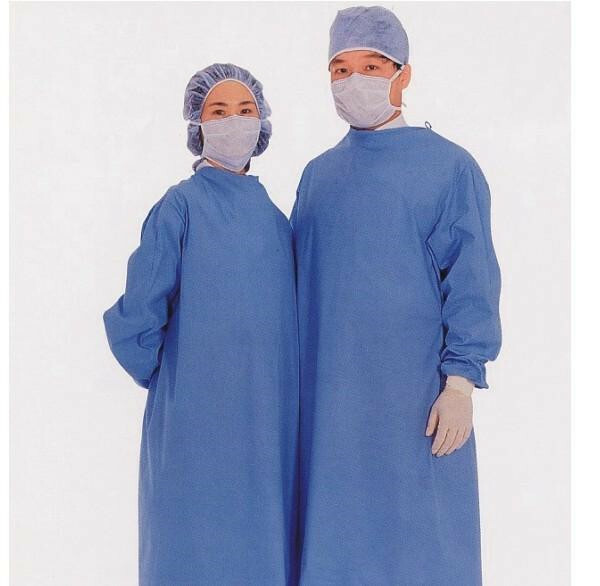 surgical gowns, surgical wraps,surgical cover cloths,sterilized bandages, wound wraps,patch plasters,etc… Also suitable for industry,used for making overalls,protective clothing. etc. SMS products with its good isolation performance, especially the SMS products that have undergone three-anti and anti-static treatment, are more suitable as high-quality medical protective materials, and have been widely used in the world. 3.Thick SMS: Theyare widely used as high-efficiency filter materials for various gases and liquids. They are also excellent high-efficiency oil-absorbing materials for use in industrial wastewater degreasing, marine oil cleaning and industrial wipes. The three-resistance non woven fabric SMMS is made of spunbond nonwoven fabric + meltblown nonwoven fabric + meltblown nonwoven fabric + spunbond nonwoven fabric, and the four-layer web is hot rolled.With all the characteristics of ordinary SMMS nonwoven fabrics; anti-alcohol up to 10 (100% anti-alcoholic); anti-static capacity of 108-1012; anti-oil; anti-plasma; mainly used in surgical gowns, surgical hole towel, surgical package Cloth, medical bed sheets, hand-washing clothes, isolation clothes, lab coats, advanced protective clothing and other protective products, can be made according to different customers like different colors. 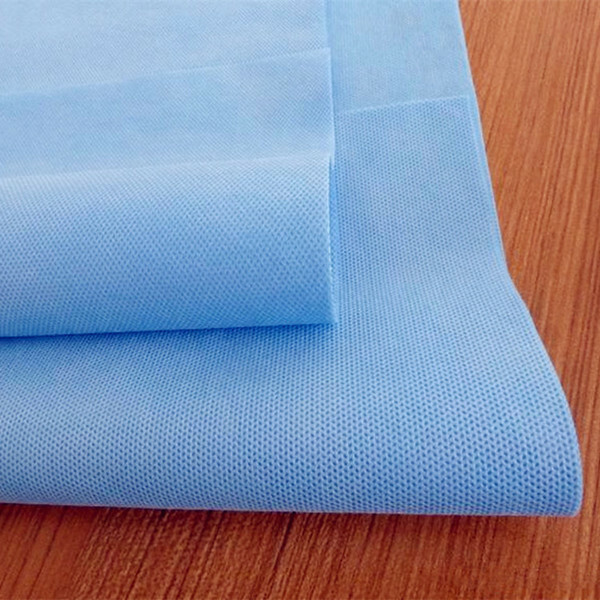 Medical non-woven SMMMS, using 100% polypropylene as raw material, non-toxic, non- fiber shedding, high effective rate of bacteria inhibition; cloth surface is eveness and full, can effectively improve product quality.SMMMS can replace pure cotton fabrics, soft, delicate and skin-friendly. The spunbond layer consists of continuous filaments with good breaking strength and elongation. The meltblown layer consists of continuous microfibers and has a good barrier effect on moisture, bacteria, and dust.It has a high water pressure resistance and good air permeability, good acid and alkali resistance. Suitable for high and low temperatures and other sterilization methods; disposable use, no need for recycling, cleaning; in line with environmental requirements, easy to degrade or burn; effectively prevent hospital cross infection, reduce the hidden costs of treatment, improve the infection control rate; no multiple use damaged consumption; No washing cost; Stored under qualified conditions, sterile valid 180 days. 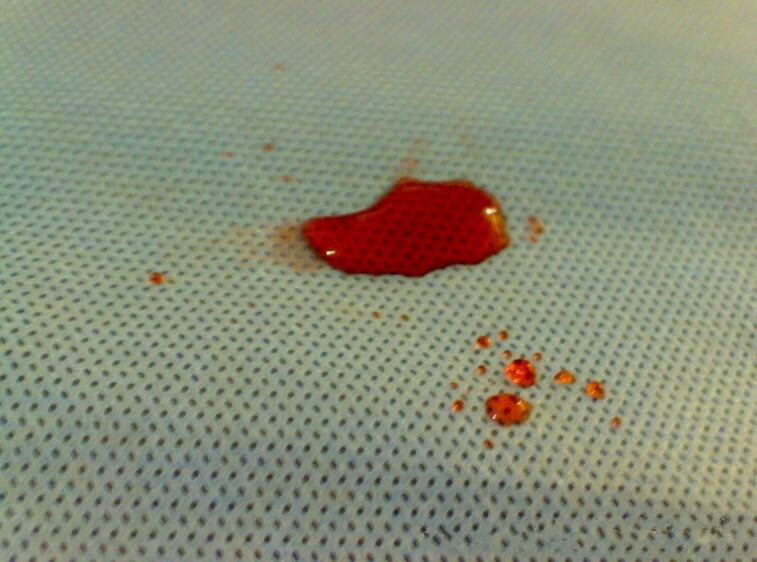 The disposable protective fabrics on the market are mainly made of SMS materials, with excellent protection performance and breathable comfort.The main material of microporous protective clothing is covered with film coated non woven fabric, which has the characteristics of resistance to microorganism penetration and good blood permeability. 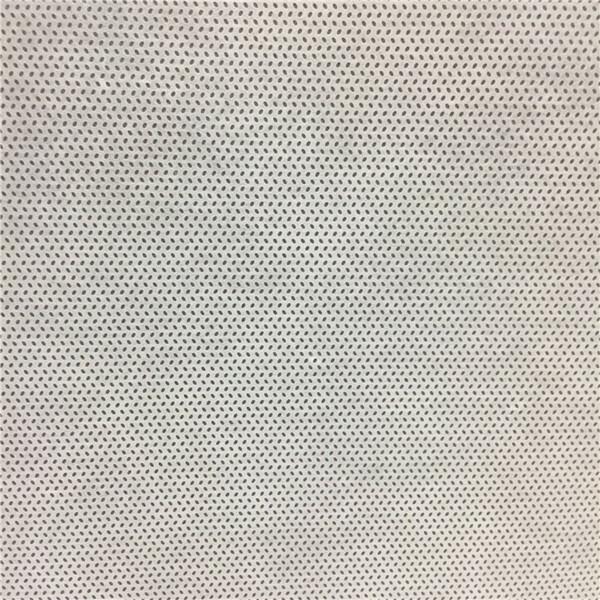 Need SMS or SMMS or SMMMS non woven fabric? Please contact us at office@sourcenonwoven.com.